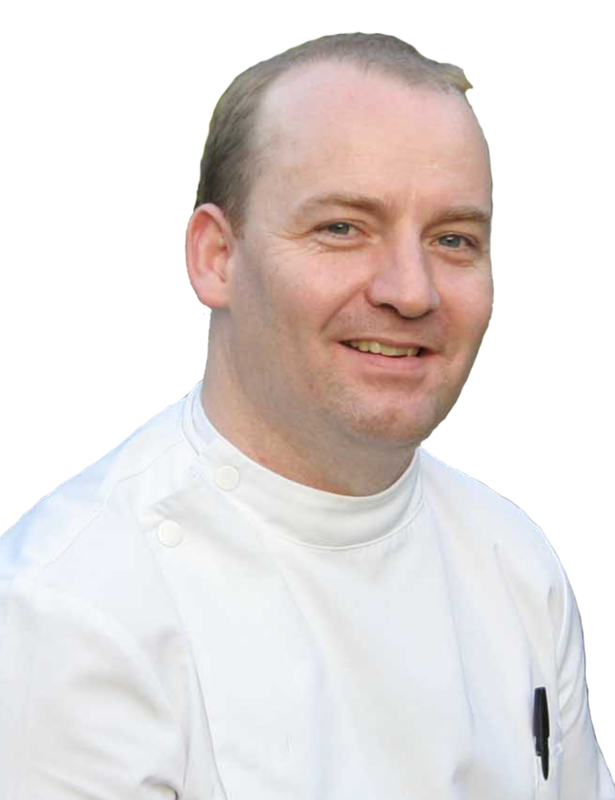 In Pain And Need An Osteopath? * Get your health back on track and not lose any more fitness. * Understand how your body simply compensates and adapts with injuries. 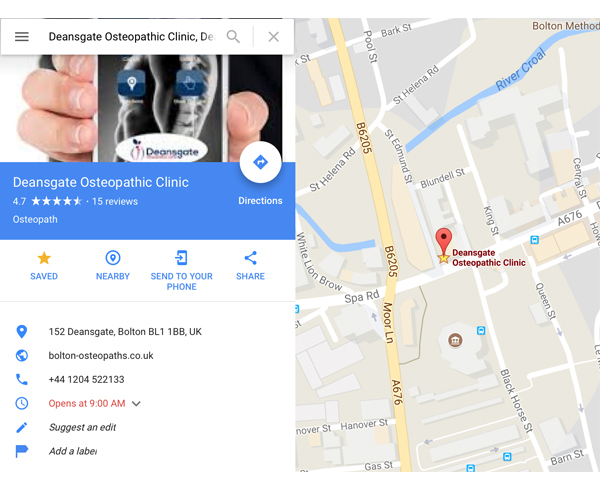 With so much to take in and going with your body, its great to know and understand that seeing one of our osteopaths in Bolton is with you all the way, we can help you train, if needed retrain and develop your body to keep it working at its best, to help you manage adaptions and to balance compensation patterns. The most common results will be exercises, supplements and all kinds of stuff. You will find “9 things to help your pain”, “3 exercises to cure pain down the leg”, however without a diagnosis at best it’s a gamble. If you try enough maybe something may work, but really no one can make a diagnosis over the internet..some advice might actually make it worse…. So first things first.. you need a DIAGNOSIS only then can you take away the guess work and improve your chances of eliminating your back pain, knee pain etc and get the right treatment, advice or if necessary a referral to another healthcare professional…. 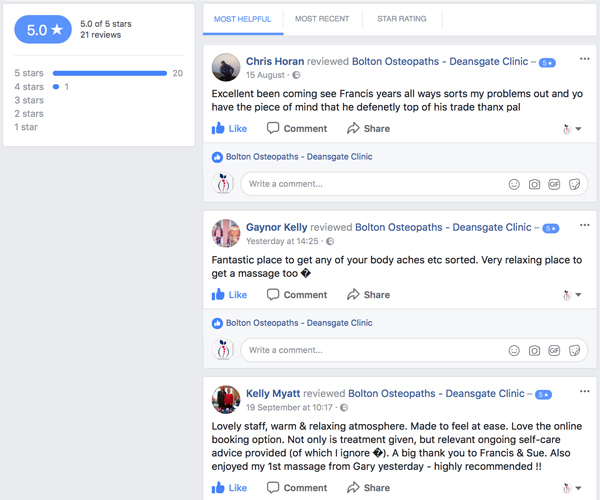 Book a treatment here at the Deansgate Osteopathic Clinic to see one of our osteopaths and be confident in what we say and recommend will give you the best opportunity to get back to a better lifestyle, back to work and playing the sports you love. We look forward to helping you, but most importantly it starts with a diagnosis. 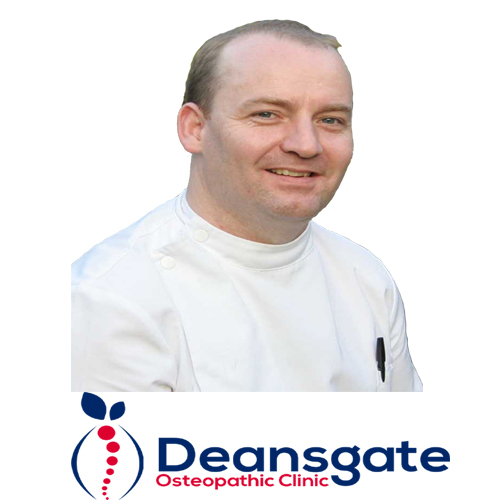 Osteopath in Bolton, central location and registered with the GOsC experienced in treating backpain, sports injuries, sciatica and work related injuries.